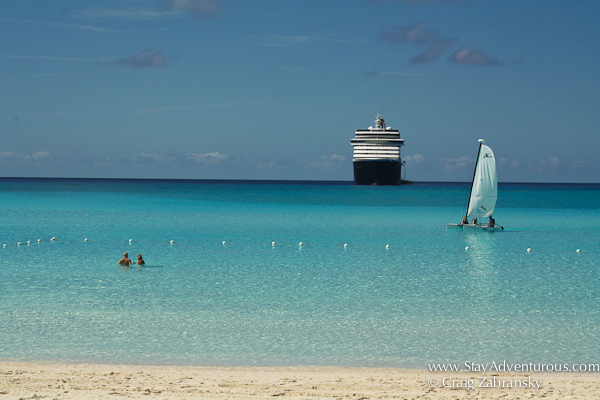 Do you need a reason to take a cruise? Some travelers love the cruise vacation, others don’t. I wondered where I’d stand after nearly a twenty year absence from the “cruise” holiday. Before I boarded the ms Zuiderdam last year, my last sail of similar magnitude was as a teenager with my parents. 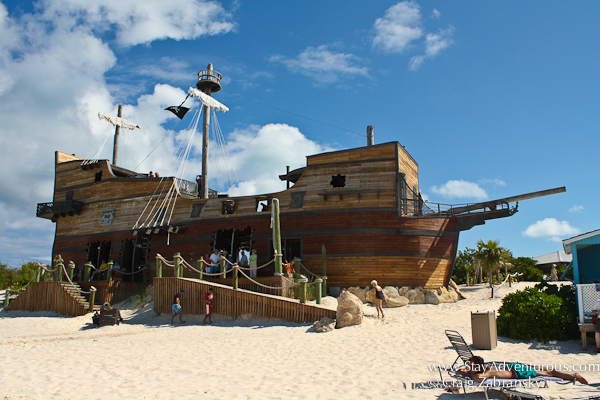 I realized much has changed, but I found something I missed at Half Moon Cay. If you found the perfect beach would you buy it? Well, Holland America did. The softest sand, crystal-clear water and now thanks to cruise ships all the amenities come shore too to make a paradise. 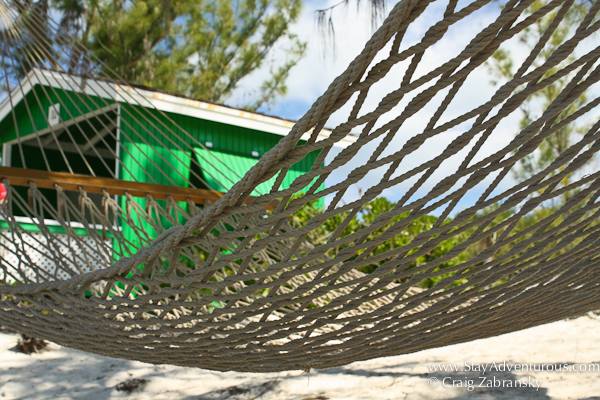 From a simple hammock (where I spent my day) to high-end cabanas, you’ll find everything on the island including a bar. Of course the day wasn’t perfect as I missed the buffet line (not used the rules of a cruise) and well, I wanted like to capture the sunset from the island (although I loved state room balcony sunsets) but we departed too early. Yet, when I left the beach, I felt reminded of the perfect post card setting. 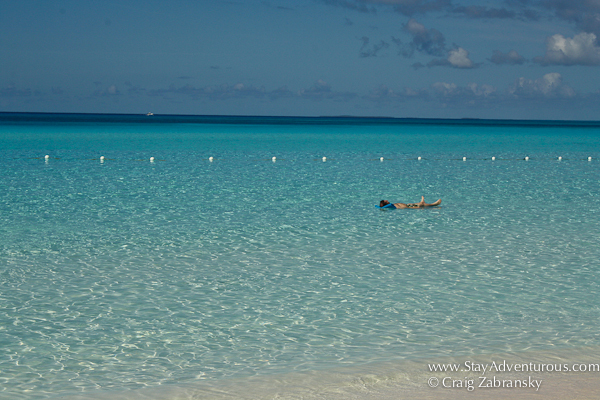 It does exist and you truly can just float the day away on this Bahamian Island. Craig, I’ve never been on a cruise but getting to a beach like this might change my mind. I am with Marivic – never cruised but the right destination just might change that statistic. I agree, but it’s always a lot more crowded when we’re there, with a lot more fat old cruisers like me! That water looks divine! Totally a bucket listable beach. As an avid cruiser, the best days in my opinion are on the private islands. 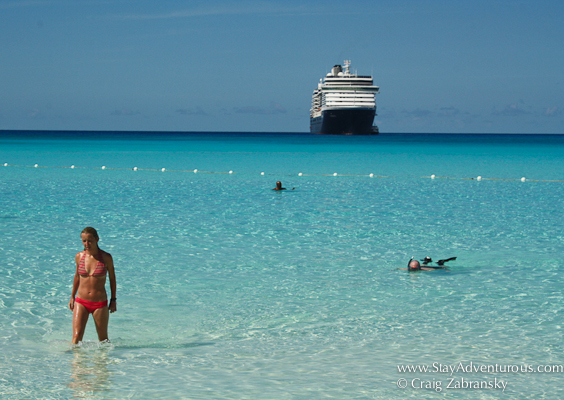 Have not been to Half Moon Cay, which gives me plenty of good reason to sail Holland America! I keep saying that the only cruise I’d do is one in Alaska, on a small ship. And then you had to post that picture of the hammock. Now, I could see myself there!